Olive Oil is referred to as a Super Food. Packed with antioxidants and health benefits it has always been importance in the Meditterranean diet. Olive Oil has been part of bathing and religious rites over the ages too. Today I delve into the world of Olive Oil. 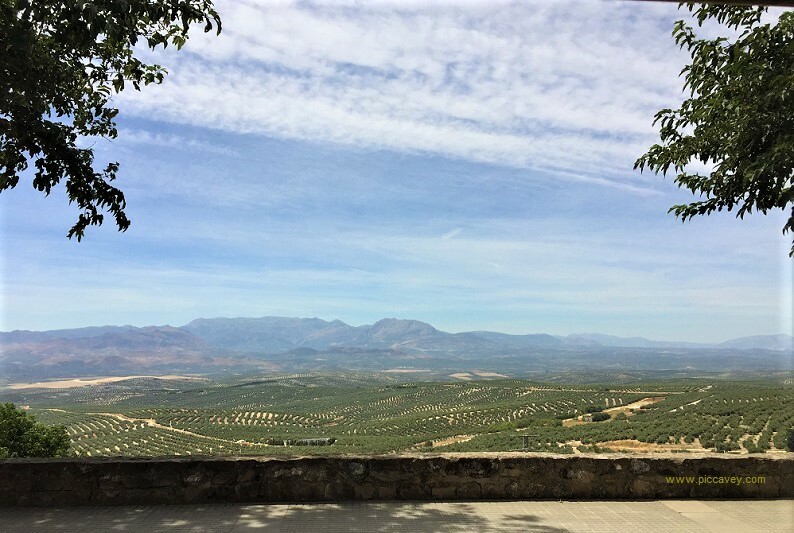 Looking at how its produced, the history of olives and where to source the best quality oils. The lineage of the first olives is found on the border between Turkey and Syria. To the period around 6000-8000 years ago. The exact details aren´t clear. A DNA study on fossilized pollen from wild olives helped to narrow it down to this period. For thousands of years Olive oils main function was for lighting lamps rather than culinary use. Edible olives seem to date back to around the Bronze age (3150 to 1200 BCE). Over the ages the cultivation by man managed to decrease the bitterness in olives and increase production too. Each cultivar enhanced and improved for flavour, stability and size. There are over 700 varieties across the world today. The first expansion of Olive cultivation seems to be around Greece and Egypt. (1700 BCE) The Palace of Knossos on the island of Crete is part of that legacy. Another example is an olive tree on the island of Crete thats 4000 years old. 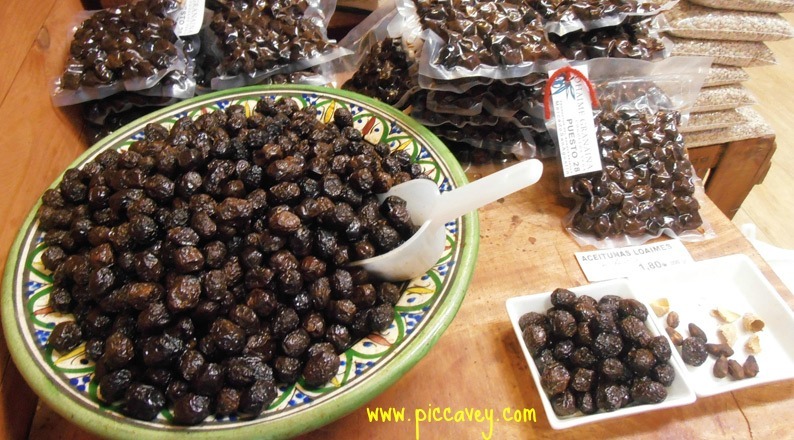 Later the Phoenicians around 1000 BCE would have brought Olives to Spain and Northern Africa. The expansion of the Roman Empire was key to Olive oil. Production increased greatly and Olive oil became most popular. More olive mills were built as this culinary staple became increasingly popular. 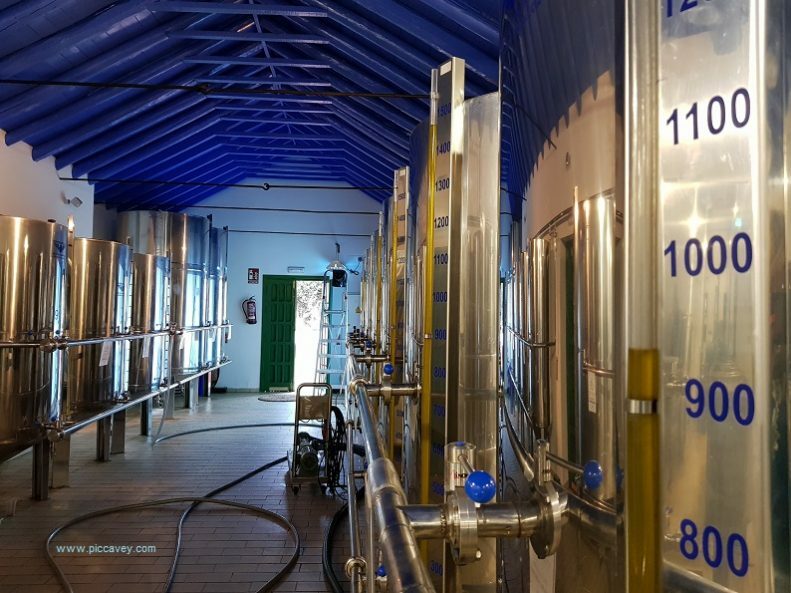 You can visit Matera Olive Oil Museum in Southern Italy to learn more about that particular region. 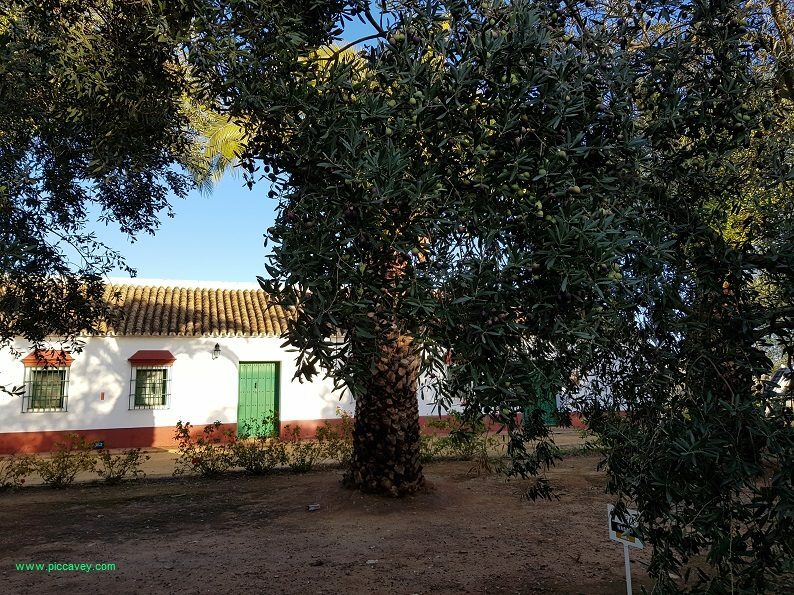 In Seville province this historic Olive Mill and Farmhouse dating to the 1500´s is the oldest in Spain. Belonging to Hernando Colon (son of Christopher Columbus) this mill took Olive Oil to the New world. (South America) Exporting to Cuba and the Dominican Republic. 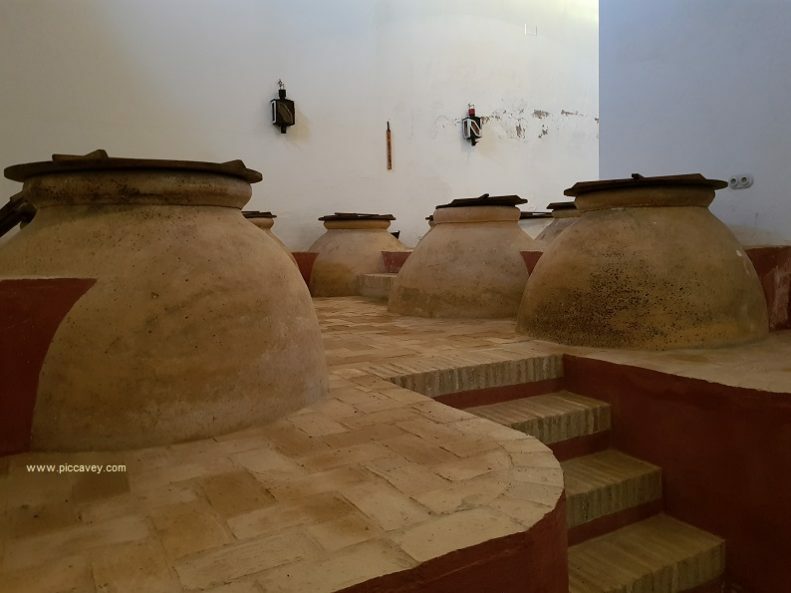 These anphoras in the photo above are in one of the storehouses at Hacienda Guzman. 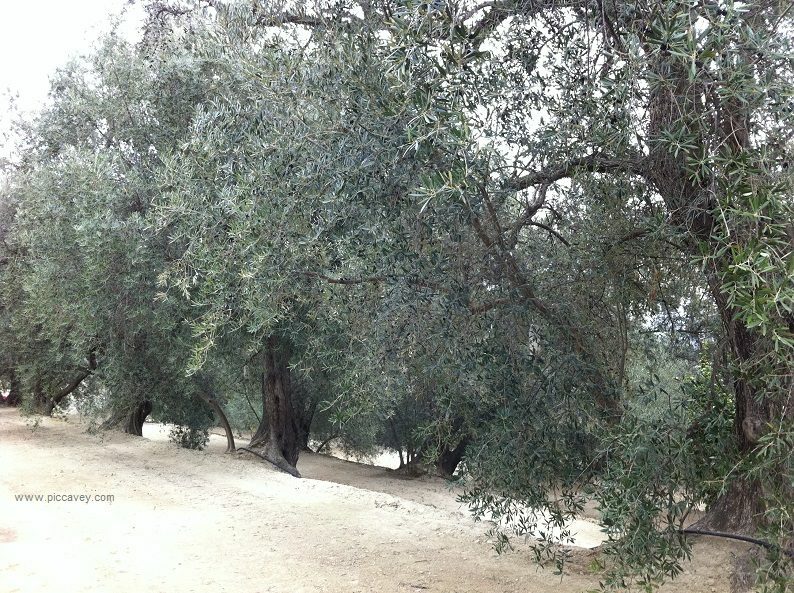 Olive trees tolerate hot, dry conditions yet do need some cooler weather. Stress is actually good for production during some periods of the year. They are not trees which are difficult to maintain. Olives do not like to be overwaterred. The trees can last for hundreds of years but intially take quite some time to reach a good production level. In Olive oil production, the fruit or pulp of the olive is crushed rather than the seed. In contrast to vegetable oils (like Sunflower oil, canola etc) which are made from the seed. 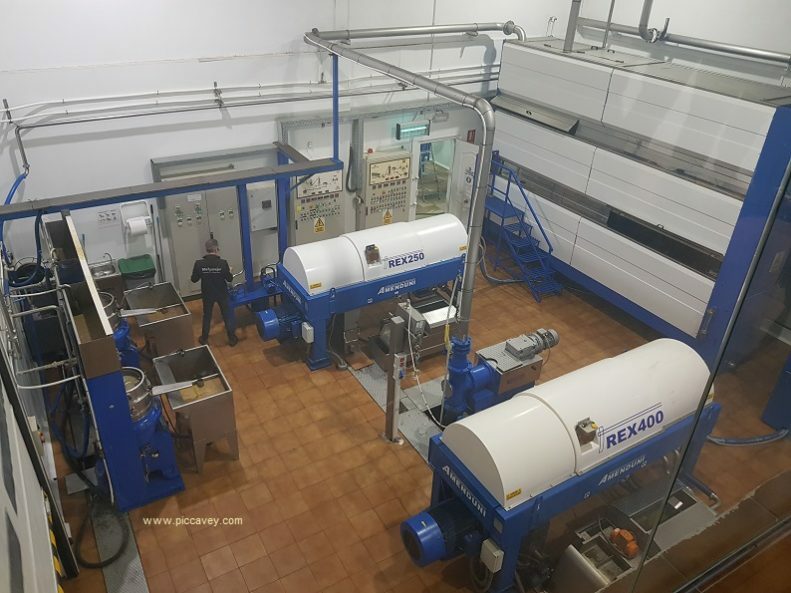 Because High temperatures are the basis of the extraction process in vegetable seed oils. Depending on the quality of olive oil required the process varies. Heat is detrimental to olive oil. Its important to cold press the olives to extract oil. Heat destroys the delicate flavour and also the good stuff, those antioxidants and the polyphenols. 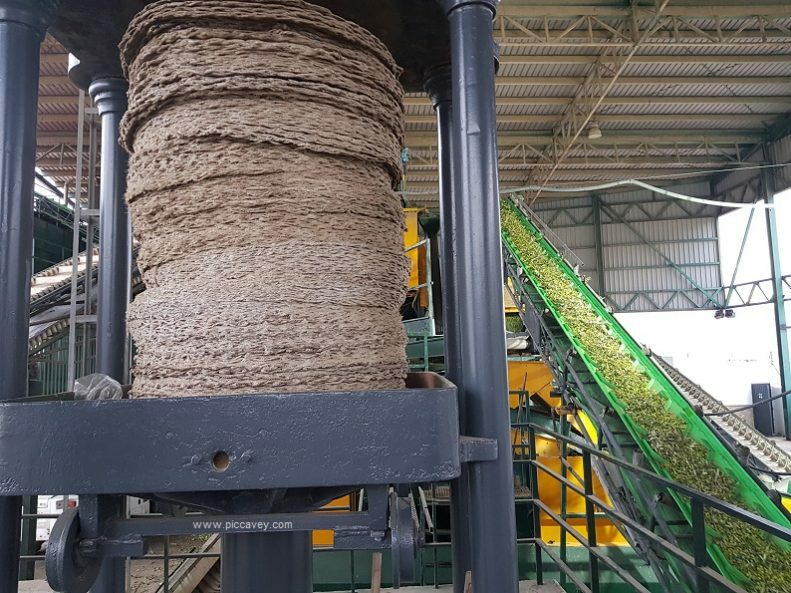 Animals would walk to mash the olive pulp into a pomace and then extract the oil by crushing this paste. Often between large pieces of heavy wood. Filtration was done manually. Taking 4-10 months for the water, which is naturally present in olives, to separate from the oil. Filtration is now done with machines. The centrifuge separates the oil from water easily. In the photo above we see a modern olive oil mill Melgarejo in Jaen and its vintage machinery from years gone by. 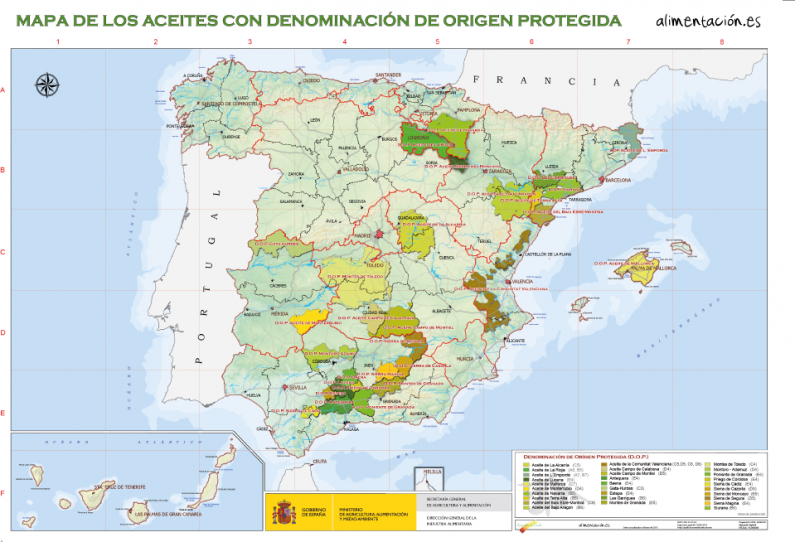 Spain is the top producer harvesting 50% of the World´s Olive Oil. This year in the top 10 Best Olive Oils in the World, 6 of them were Spanish and 5 of those from Andalusian producers. Managed by a Regulatory Body. These regions are called Denominación de Origen or D.O for short. This system is used to categorise Spanish wines and foods. D.O certifications are linked to a geographical region. Agreed by the Regulatory Comittee, known as Consejo Regulador in Spanish. Geographical area, production methods, acidity, quality standards and harvesting are considered. Producers must meet these requirements to be part of the D.O. 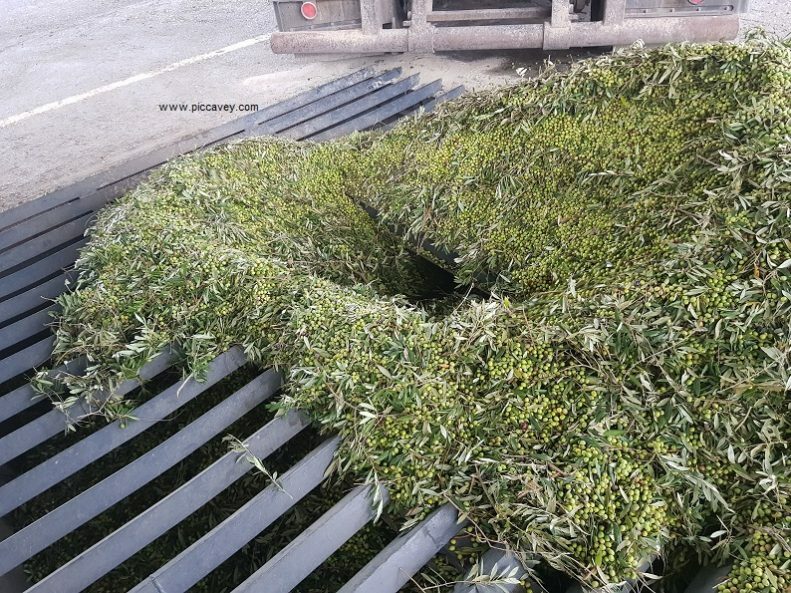 In Southern Spain the 2018 harvest was 1,300,000,000 kilos of Olive Oil. There are 12 D.Os are in Andalucia alone. I visited te region as part of an initiative by the Andalucian Government. 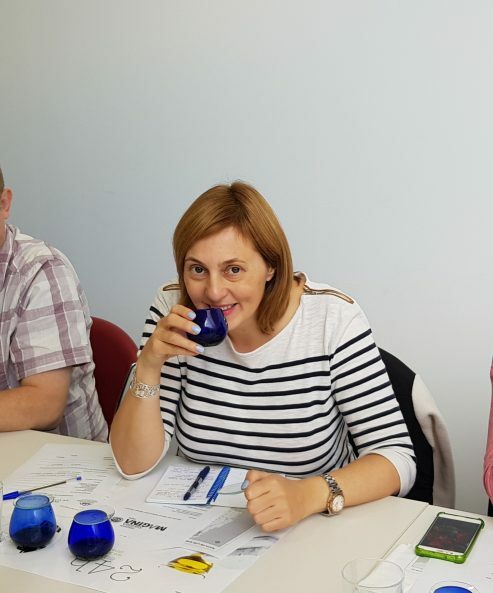 Tasty Andalucia aims to educate about Food production in the region. We learnt about local producers in Sierra Magina. Another highlight was sampling recently harvested Olive Oil. 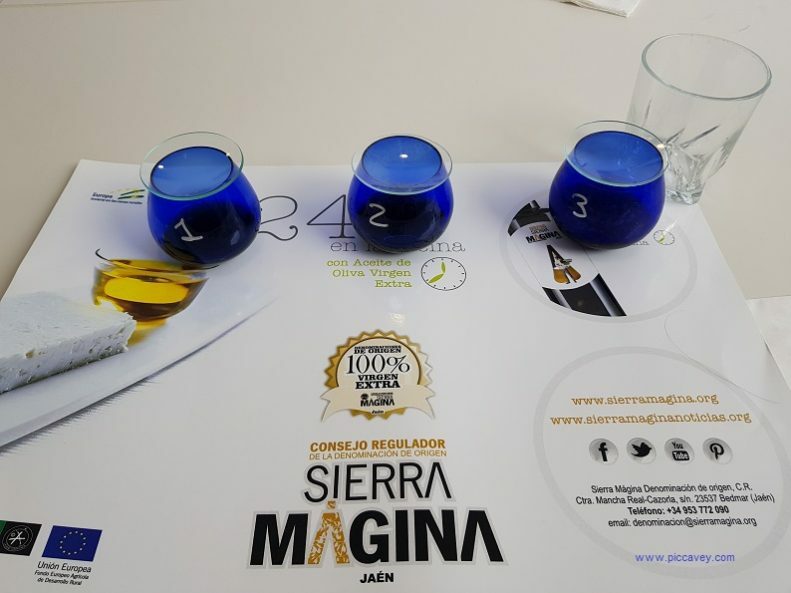 Sierra Magina Olive Oil is mainly Picual variety. 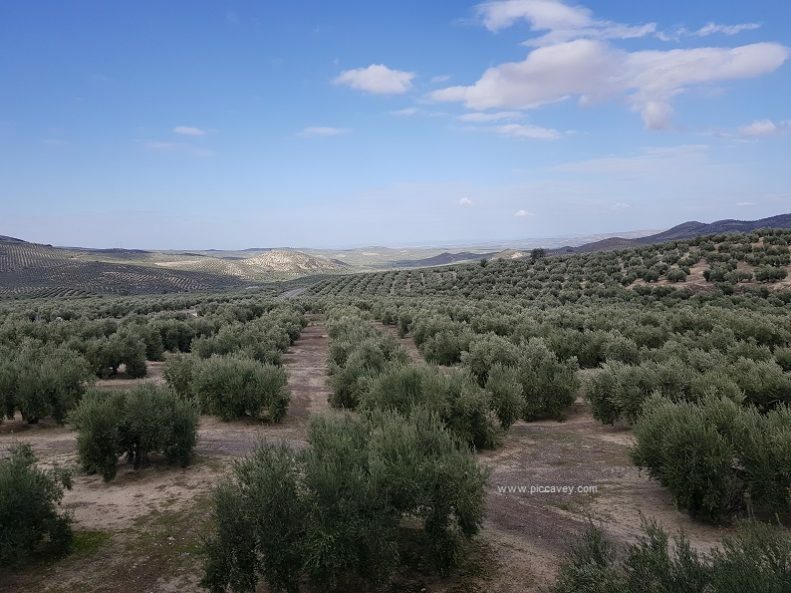 The producers in this region are producing more early harvested olives. Picking the olives earlier ensures the quality improves. 80 olive mills in the region now pick the olives in early harvest. Did you know that 170 countries import Spanish Olive Oil? With over 200 olive varieties cultivated in Spain there are plenty to choose from. The most popular one is Picual. Chosen due to its resistance against disease and good flavour. Picual variety has a very long shelf life of about 4 years. It is also stable and flavourful. Other main varieties in Spain are Arbequina or Hojiblanca. Frantoio and Empeltre are also becoming more popular with producers as they are disease resistant too. Green olives are unripe and black olives are ripe. They are not different varieties, the colour is just the stage of ripeness. Olives are for eating too. Table olives tend to be fleshy varietals. Manzanillo, Aloreña and Gordal are popular varieties. 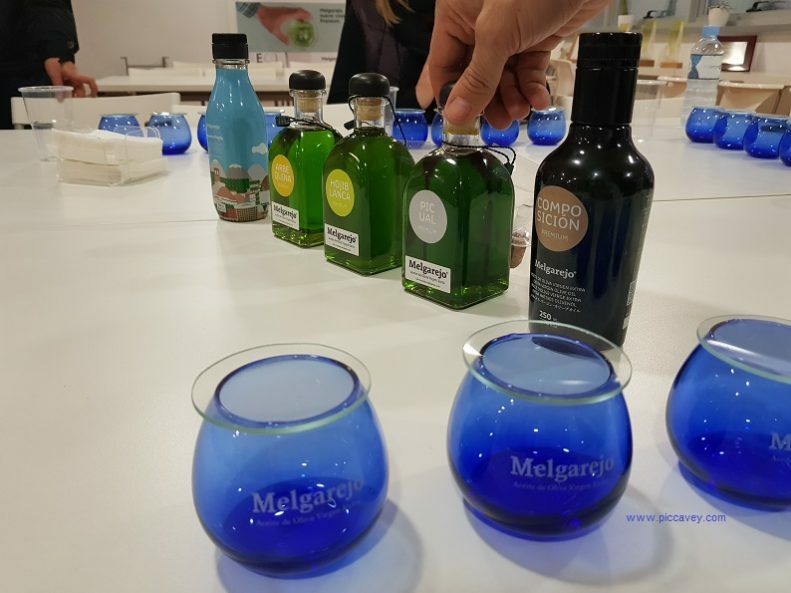 Small glasses are used for Olive Oil Tastings. Darkened so the colour doesnt affect your appreciation of the oil. 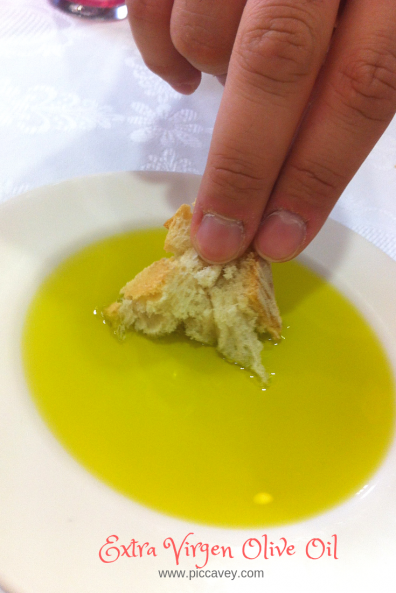 Usually a tasting would begin with the a light oil, followed by a medium one and ending with a robust olive oil. Inhale – Smell the oil, is it mild or strongly fragranced? Swallow – Notice the sensation on the throat. These are the flavours that you don´t want to find in your oil.. Depending on how you will be using the olive oil, you will prefer a lighter flavour or a more robust tasting oil. For salads, for an appetiser with bread or to finish a dish. Every to serve with cheese. Pairing olive oil with different foods can enhance the flavour. For example, pairing mature Cheese with a fruity arbequina oil almost tastes like tropical fruit. Extra Virgen Olive Oil is cold pressed. (no heat applied) It is unrefined and has no chemical additives in the production. The highest quality is unfiltered and is the first pressed oil. This does have water content in the oil which is naturally present in the oil itself. Organic Olive Oils do not have a regulatory board at the moment. Production regulations vary according to the region/country. There is currently no standardisation. 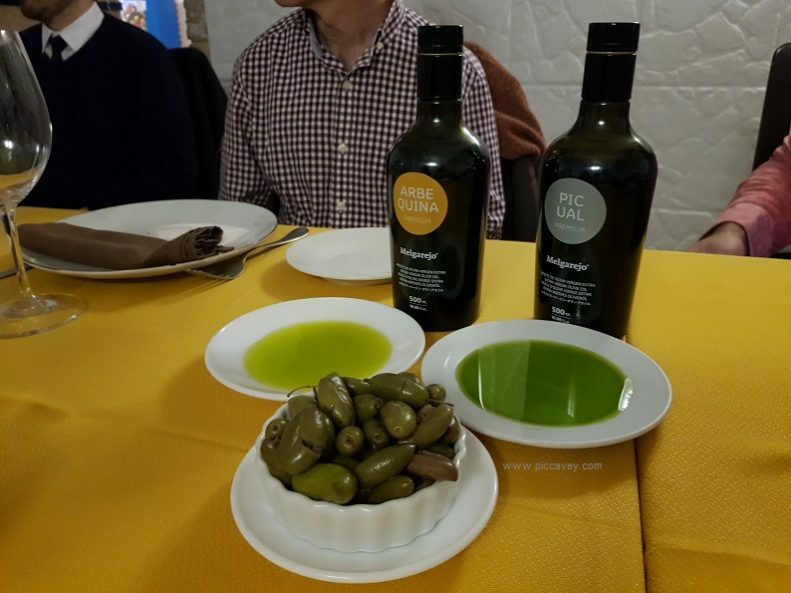 The colours of olive oil does not necessarily mean that the oil is better quality. Different varieties will be produce different colours of olive oil. Remember to store your oil in a dry place, away from strong light and heat. You should use within around 18 months of purchase to ensure that you are getting the best from your oil. If the oil is very cold some of it may solidify. This doesnt affect the oil. It will become liquid on reaching room temperature. Extra Virgen Oil used raw will maximise its benefit. Drizzled on bread, to finish a soup or grilled fish. There are endless ways. I even use it to substitute butter in my baking. Part of a Mediterranean diet Olive Oil is proven to be anti-inflammatory and has antioxidant properties. Monounsaturated acids in Olive Oil may help with happiness levels and combat depression. It is also known to help Cardiovascular health. Do remember that Olive Oil is a fat and it´s packed with calories. Keep portion size in check as you don´t need lots of oil. Try to replace a different kind of fat with olive oil. Heating Olive Oil does not produce toxins, it is safe to cook with. Keep Olive Oil away from heat sources. Don´t store your oil next to a hot stove or above the hobs. This way it will keep its properties better for longer. A really good read. I couldn’t stop reading. What a fruit, and what a story. Fascinating and engrossing. 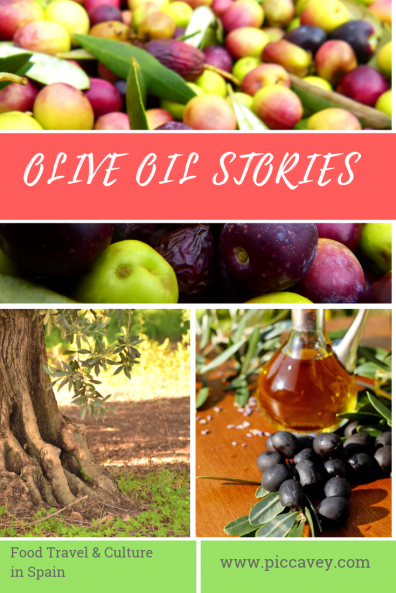 Loved the story of olive oil and it’s ancient Origins. Love olives. Love olive oil. From keeping my baby grand daughters skin soft to mixing with essential oils for a good massage to adding to herbs for my salad. Healthy and good for us.